Ask Dr. Ron: What about the Money? . . . Financial Stress in Marriage - Tampa Family Resources, Inc.
Money may be the thing married couples fight about the most. As a matter of fact, one statistic tells us that the #1 reason why first marriages are ending in divorce is financial stress. This financial stress is triggered by things like reduced income/same expenses, divorce, poor money management, underemployment, gambling, medical expenses, saving too little or not at all, no money-communication skills, student loans, credit card debt, and financial illiteracy. We know that God takes our finances seriously as He has a lot to say about them in the Bible. For example, in the New Testament Jesus says more about money issues than He does about Heaven and Hell combined! The Apostle Paul, in his letter to the young pastor Timothy tells him, “For the love of money is a root of all sorts of evil, and some by longing for it have wandered away from the faith and pierced themselves with many griefs,” (1 Timothy 6:10 NASU). Let’s be clear here, Paul is NOT saying that money is evil, sinful, and wrong. Rather, he is warning Timothy to guard from getting emotionally attached to money. This is where the troubles begin. I think what Maxine Marsolini says in her book, Blended Families, is spot on when she writes, “Money—the very word wells up emotion in us. I marvel at how easy it is to become defensive over money issues. There is nothing we possess (outside of love) that is not impacted by money. Next to health, most of us recognize the almighty dollar as life’s biggest necessity. It’s time to mentally redefine money. By defining money in its truer sense, as a tangible resource and practical tool given by God to be used as a medium of exchange through which our family’s daily needs and even occasional desires are met, we give our currency a non-emotional identity. So strong is the pull of money, that Paul says some have “wandered away from the faith” as a result of their love for it. The thought here could be that Paul knew of some who walked away from receiving saving faith because of their love for money; much like the Rich Young Ruler who walked away from receiving Christ, (Matthew 19:16-22). Secondly, Paul could be telling Timothy that some believers have walked away from a close, growing relationship with Christ and as a result have lost their fruitfulness. Either way the results are very negative, because they have “pierced themselves with many griefs.” The bottom line is that greed leads to sorrow and grief in anyone’s life. When it comes to marital finances one of the biggest solutions to money problems is to talk about them. Be forthright and honest about things like your debt and adopt a policy of transparency when it comes to purchases. I highly recommend taking the class Financial Peace University as it covers every area of finances and has been successful in helping reduce financial stress in many marriages. That last thing we want to do is to give the enemy one more foothold in our marriages and families to “steal, kill, and destroy, (John 10:10). 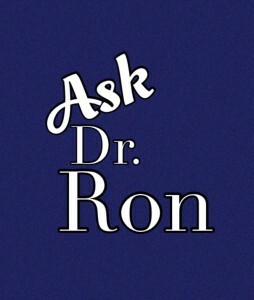 Previous PostPrevious Ask Dr. Ron: So, What about the In-laws? 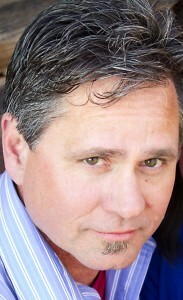 Next PostNext Ask Dr. Ron: What about disciplining my children?